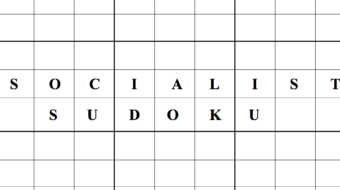 OK, all you Sudoku fans! Try this one. The only difference is we’re using the nine letters below instead of numbers. When you’ve completed it, you’ll find a timely message.